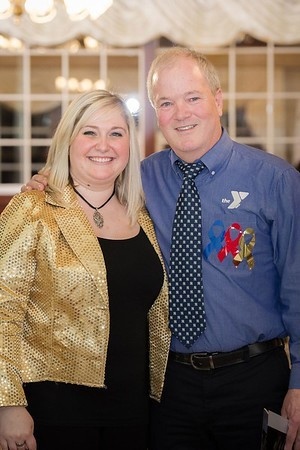 SOUTHINGTON –The Southington Chamber of Commerce has announced the award recipients for its upcoming 81st Annual Dinner April 25 at the Aqua Turf Club. Each year, the Chamber of Commerce recognizes outstanding businesses and volunteers who have enhanced the quality of life in the Southington community in five categories. This year’s annual dinner will be held from 6 to 10 p.m. at the banquet facility at 556 Mulberry St. There will be an open bar with a raffle and silent auction. The Riccio Brothers Business Person of the Year Award, which is awarded to an outstanding business person who has demonstrated a sound commitment to the community as an owner or volunteer, will go to James Garstang of Six Point Wealth Advisors. The 2019 Employee of the Year award recipient is Missy Cipriano of Bread for Life. This award is presented to an individual who exemplifies the ethics and spirit of Southington. The Gail DePaolo Community Spirit Award is presented to a person, group of persons or organization who has succeeded in bringing together a diversity of people for the good of a common cause. Taking home the award this year is business owner, volunteer and past Chamber President Dave Pestillo of Emendee Technologies, LLC. The Chamber Woman of the Year award will go to Anneliese Dadras of Bradley Mountain Farms. Crofton said Dadras has “gone above and beyond” to help both the business and general community by means of support, service and involvement.
. Courtyard by Marriott – For their new building at 1081 West Street.
. Que Whiskey Kitchen – For renovating their building.
. AAA – For constructing a new location in Southington from the ground up.
. Calendar House – For building a new and expanded senior center.
. Board & Brush – For renovating their building.
. 75 Center – For taking over the former Machiavelli’s location.
. Nataz – For interior renovations to their building.
. Chick-fil-A – For building a new building from the ground up. Tickets to the Southington Chamber of Commerce’s Annual Dinner are $75 per person or $750 for a table of 10. For more information, or to become a sponsor, call the Chamber at 860-628-8036, visit southingtonchamber.com or email taylor@southingtonchamber.com. Posted in New Britain Herald, Southington Herald on Friday, 29 March 2019 19:59. Updated: Friday, 29 March 2019 20:01.